Large-scale, Federally Funded Project Includes Emergency Repair Work to Restore Dunes and Beaches. Albany, NY - June 15, 2013 - Governor Andrew M. Cuomo today announced that New York State formally notified the U.S. Army Corp of Engineers that it supports the $700 million large-scale, federally funded project to upgrade natural and manmade storm protections along an 83-mile section of coastal and bay areas of the south shore of Long Island, from Fire Island Inlet to Montauk Point (FIMP). Initial phases of the FIMP project would include expedited emergency repairs to restore dunes and beaches on Fire Island and in downtown Montauk that were significantly damaged by Hurricane Sandy. Governor Cuomo is seeking to expedite all dune renourishments to protect other Suffolk County population centers, such as Mastic Beach. The Disaster Relief Appropriations Act of 2013 established a pool of funds that could provide in excess of $700 million for the FIMP project. The Army Corps of Engineers is working with New York State to refine specific elements of the project and to expeditiously complete an environmental review. Recognizing the threat of increased storm surge intensity, the Army Corps of Engineers, in consultation with the New York State Department of Environmental Conservation (DEC) and Department of State (DOS), developed an innovative FIMP project that would establish multiple barriers of protection including: enhanced dunes along the coast, installing surge dampening natural infrastructure in and along the bays, elevating of as many as 4,000 flood-prone structures and transportation infrastructure, and structural and maintenance modifications that will better facilitate the movement of sand along the shoreline. The FIMP project will take into account sea level rise and the more intense storms projected under on-going climate change. As the process proceeds, local officials and stakeholders will be actively involved to provide input into proposed measures. Two interim coastal damage reduction projects were previously completed in the FIMP area: the West of Shinnecock Inlet Interim Project in 2006, which provided beach fill placements and renourishment in the area immediately west of the inlet; and the Westhampton Interim project in 1997, which included construction of a protective beach berm and dune, and periodic sand re-nourishment. 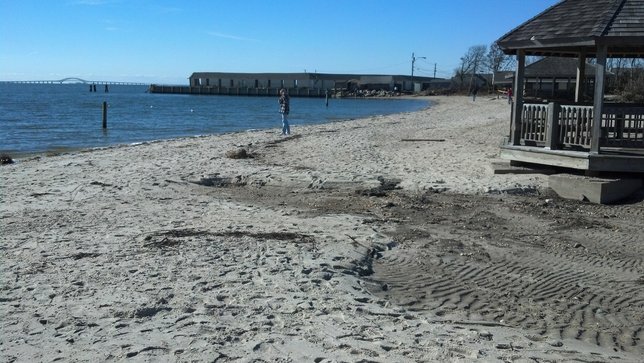 Another interim project, the Breach Contingency Plan, resulted in the closure of two breaches caused by Hurricane Sandy and an ongoing evaluation of options to address a third breach within the Fire Island National Seashore wilderness area. Subject: LongIsland.com - Your Name sent you Article details of "Governor Cuomo Announces Support for $700 Million, Federally Funded Project for Storm Damage Reduction from Fire Island to Montauk Point"